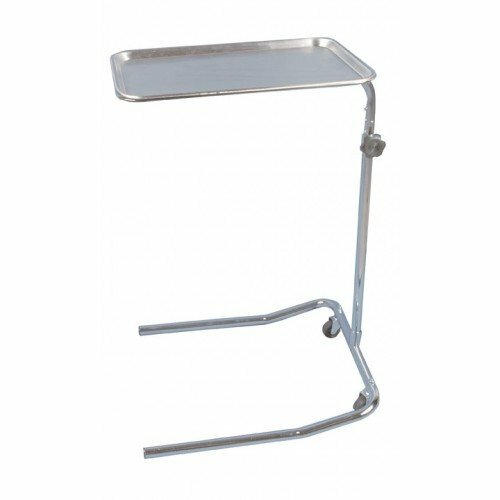 Mayo Instrument Tray Stand Single Post will hold the medication and medical instruments you need for the procedure you are performing. The single post is height adjustable between 32 and 49 inches, so you can have it at a comfortable height during a procedure. Also, the "U" shaped base serves two main functions: stability and versatility. This shape allows the stand to have objects fit between the two prongs to fit into more unconventional spaces. 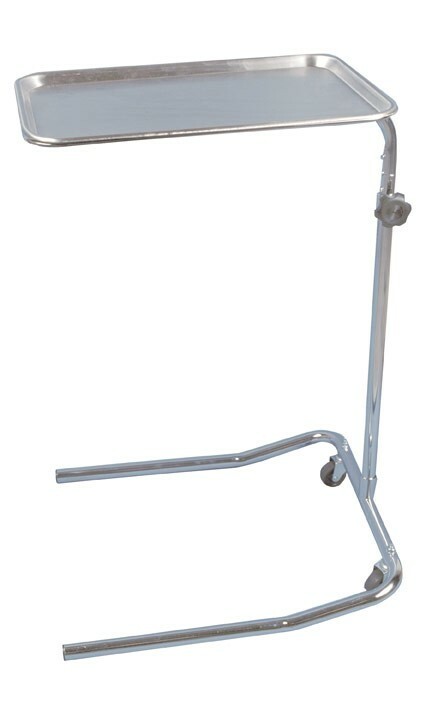 Two 3 inch casters are part of the base and make positioning the stand easier. In addition, the stand is easy to assemble and all tools required come in the package.